It don’t fall on one man’s housetop. 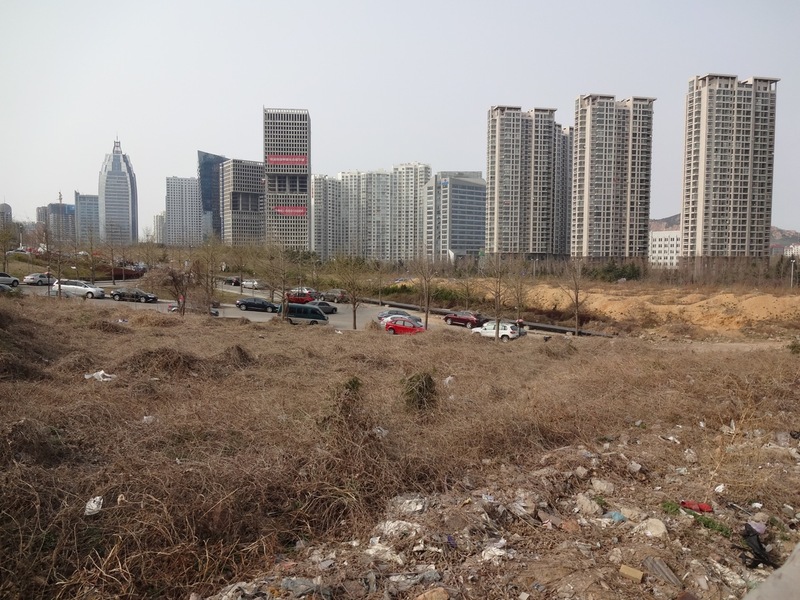 Late afternoon in the Chinese city of Qingdao, the consequences of coal as a primary fuel source and lax pollution standards, can literally be seen and breathed on an increasingly routine pattern. On April 22, groups and individuals around the world celebrate the 45th Earth Day. The first Earth Day happend on April 22, 1970 in the United States. The true roots of the movement started much earlier with Rachel Carson’s disturbing predictions found in her 1962 book, “Silent Spring”, but the real sea change wouldn’t happen until the late 1960’s when change for any number of movements was in the air. Thankfully the green movement has only gained momentum as the world finally recognizes the consequences of our collective environmental mistakes. The actual day came about when a U.S. Senator, Gaylord Nelson from Wisconsin, witnessed first hand a major oil spill off of the Santa Barbara coast in California. Already veterans on how to get a protest movement started from the war in Vietnam, students and the less vocal older generations found common ground in the growing environmental problems in the United States and seized upon their opportunity to create real and lasting change. In 1970 most Americans drove huge V-8 powered hunks of Detroit steel and chrome on full leaded gasoline with virtually no emission controls. People were beginning only then to wake up to the terrific loss of natural habitat, plant, and animal species across the planet. Nelson and a like-minded but unlikely allie: A conservative Congressmen named Pete McCloskey agreed to serve as co-chair in the first Earth Day event. On April 22, over 20 million people showed up in parks and public squares across the country and realized their future strength would rely on the common ground each smaller group shared before that day. Some groups focused on water, others on the rainforest and habitat, while others warned of the chemicals we were exposed to each day. Thousands of like-minded people all agreed that more could be done and Congress listened. In the coming years new legislation formed the EPA-the Environmental Protection Agency and passed the Clean Air & Water and the Endangered Species Acts. Within another 20 years, the movement went global and included 141 countries by 1990. In 2015, the movement remains strong in much of the world and climate change, smart growth, and alternative energy has taken center stage. In Asia, however, the movement remains decades behind in most ways. The unrelenting push for economic growth has put fresh, unforgiving demands on the air, water, and land here. You see it in the rush to build and clear every acre for growth and a population that exceeds one billion people. Litter is a normal part of the natural landscape including the oceans and remote forest areas. High rise buildings dominate the skies and parks, marshlands, and buffers remain virtually non existent. 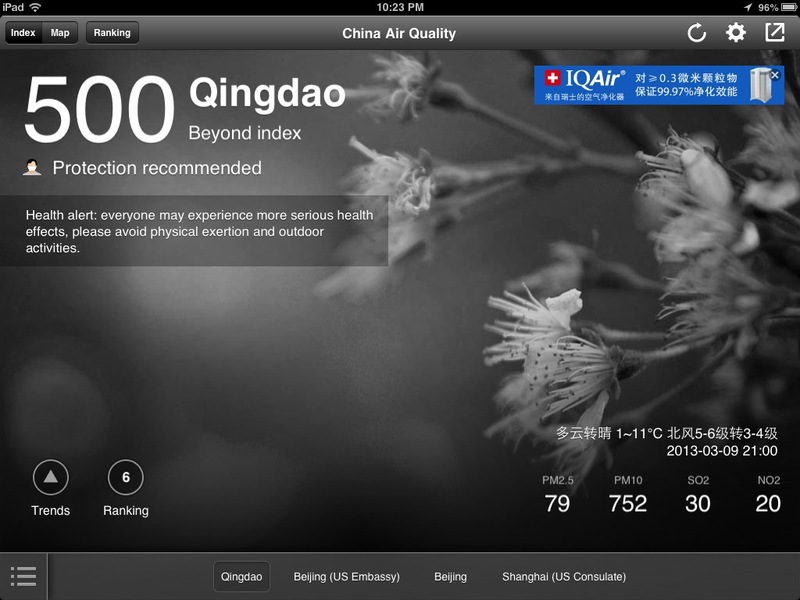 The air pollution indexes, created to include the extreme upper limits of foreseeable air quality just a few years back, had to be rewritten this year and raised in China. 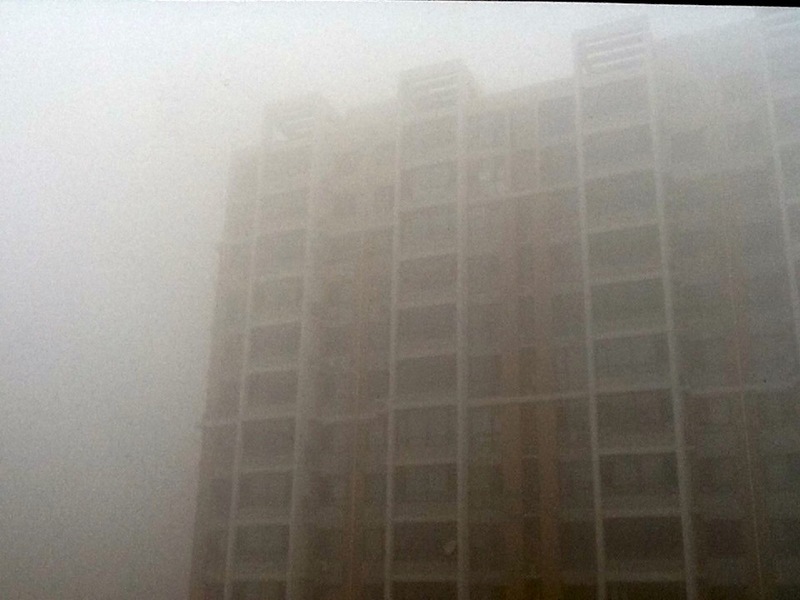 Even then, the new 500-beyond index they call it- ceiling was broken countless times recently in cities all across China, embarrassing the leadership in Beijing and leading to days with near zero visibility and deadly air quality. 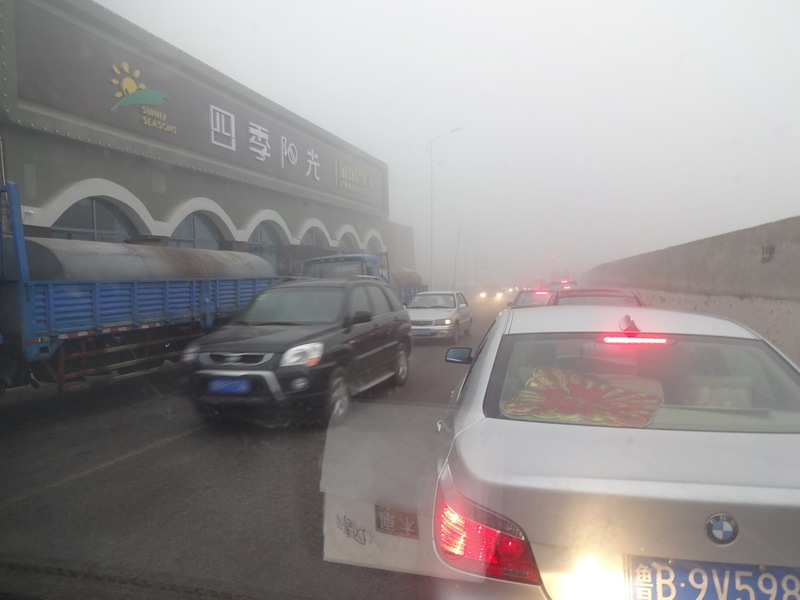 Nearly three quarters of a million people in China alone, die annually from air pollution. Other nations in the path of China’s pollution, namely South Korea, Japan, Canada, and the western US, can actually predict and measure pollution riding the prevailing winds to their part of the world. The air pollution literally shows up from space. Like the oceans, the wind and all we fill it with does not respect man-made boundaries. Your trash becomes mine. In Qingdao, Alex and I experienced many of those days when we knew not to linger outside too long and knew his PE classes will be indoors. We lived just two blocks to the Yellow Sea, something I had hoped would help the air quality of where we lived, but there really is no place to hide. In Charleston, we lived near the Atlantic Ocean and always spent time in the warm waters and played barefoot in the sand. Beaches in Charleston are pristine in contrast. We know not to go barefoot nor even wade into the water-too much trash and sewage is pumped into the water to risk it. It is a foreign idea not to be able to play in the ocean. 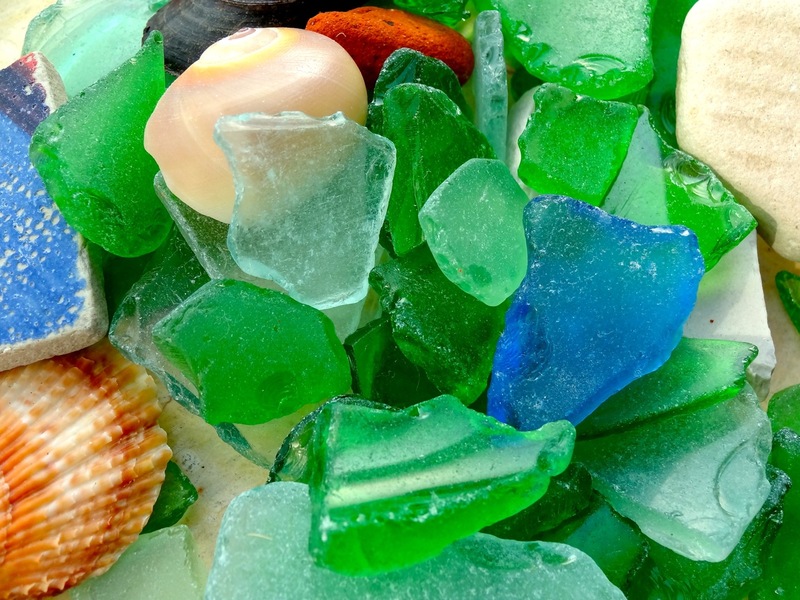 One way we discovered how to make some good out of the bad was by working on our sea glass collection. Sea glass back home is somewhat rare and special at the beach, thankfully. In China, we could fill buckets in an hour or two and that’s just the broken glass. Even more plastic bags, caps, bottles, and you-name it, washes ashore. Instead we look for shells and try and find the more rare blues, reds, and pale glass when we go to the beach and add it to our collection. Alex enjoys the hunt, we get to be by the water, and we get to take a bit of trash off the beach without feeling so hopeless about the sheer volume left behind. Take care of your Mother.